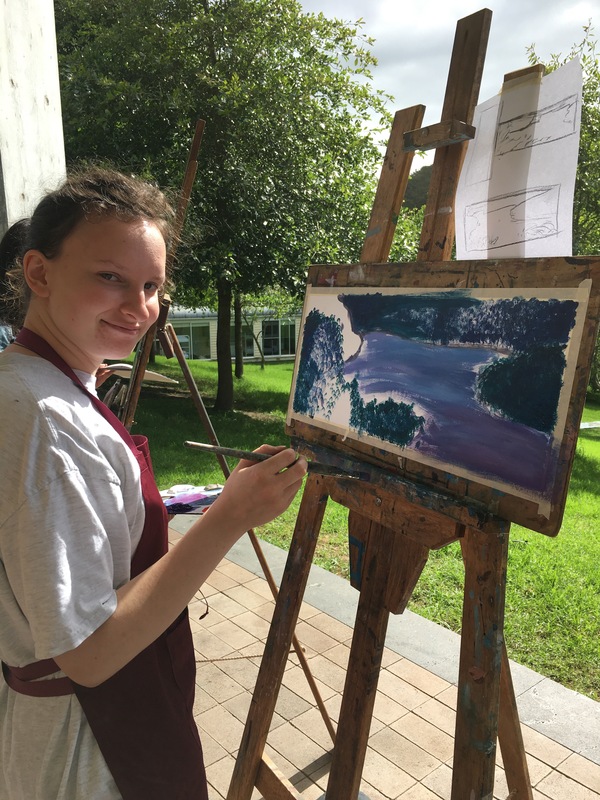 Mads just got back from a 3-day retreat with her Year 11 arts classmates. Bundenon is well south of Sydney, even farther than Berry where Susan & I went during Australia Day in 2016. They stayed nearby the home of a renowned artist, Arthur Boyd, in Australia for 2 nights. Look up “Bundenon Trust” on the Internet and you’ll see their program for artists. She brought back some nice drawings from her experience! Wow! What an experience. The picture she is working on is pretty darn good!